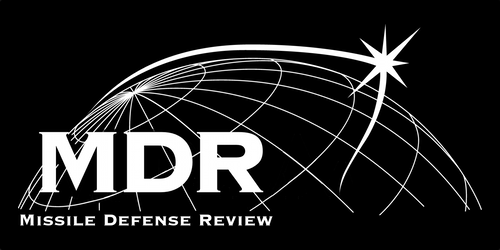 In this series of articles, the Missile Defense Advocacy Alliance will address and dispel the most popular myths regarding missile defense. In this edition, we will explore the misconception that missile defense costs too much. In an age of fiscal austerity, our leaders must ensure that every dollar the American Government spends is met with scrutiny to ensure proper stewardship of taxpayer funds. With a proposed budget of $7.5 billion in FY15, missile defense programs have been a frequent source of criticisms given the trouble the systems have faced. Many have cited the high cost of each test of the national missile defense system, and their subsequent failures, as sufficient cause to cease investments in the program. However as previously discussed, the argument that missile defense simply doesn’t work is a misconception. Missile defense systems are capable of protecting against incoming ballistic missiles if given the proper investments in resources and engineering. It’s important to note that the costs associated with missile defense are modest compared to the devastating consequences of a nuclear attack on the United States. While investments in nuclear capabilities are an important aspect of U.S. defense policy, this figure clearly demonstrates that missile defense spending is minimal in comparison other critical programs. Given the proliferation of ballistic missiles and the increasing threat they pose, MDA budgets are a small price to pay for the protection the system will provide. The terrorist Attacks of September 11th caused an unprecedented amount of destruction to the American homeland. Besides the approximately three thousand American citizens whose lives were lost on that day, there was also significant damage done to infrastructure. According to a New York Times estimate, the terrorist attack resulted in $55 billion infrastructure damage and $123 billion in economic damage, which includes disruption of business following the attack. Combined with increased military and homeland security spending as a direct response to the attacks, costs associated with September 11th range up to $3.3 trillion. Notably, the terrorist attacks of September 11th also exposed another weakness in homeland defense. From the National Commission on Terrorist Attacks on the United States Report: “The details of what happened on the morning of September 11 are complex, but they play out a simple theme. North American Aerospace Defense Command and the Federal Aviation Administration were unprepared for the type of attacks launched against the United States on September 11, 2001.They struggled, under difficult circumstances, to improvise a homeland defense against an unprecedented challenge they had never before encountered and had never trained to meet.” Clearly, a lack of air defense capabilities was to protect against an incoming threat was certainly a contributing factor to the devastation incurred on the homeland. Extrapolating, one can see the devastating potential consequences of a nuclear attack on the American homeland, along with a lack of proper air defense. The impact of a rogue or accidental nuclear launch against the United States would result in hundreds of thousands, if not millions, of lives as well as billions, if not trillions, of dollars in damages to infrastructure. Such an unthinkable event can be avoided. The United States must continue to invest in making missile defense against the ballistic missile threat a reality. The modest investment in missile defense is a small price to pay compared to the enormous cost of even one nuclear attack on the United States. The consequences of such an attack are simply too high a cost to bear. Abel Romero is the Director of Government Relations at the Missile Defense Advocacy Alliance and one of two William Van Cleave Missile Defense Scholars. Follow him on twitter by clicking here. This entry was posted in BMD Systems, Budget and tagged air defense, Defense Appropriations, Missile Defense Agency, National Defense Authorization Act, non-proliferation, nuclear weapon, terrorism. Bookmark the permalink.